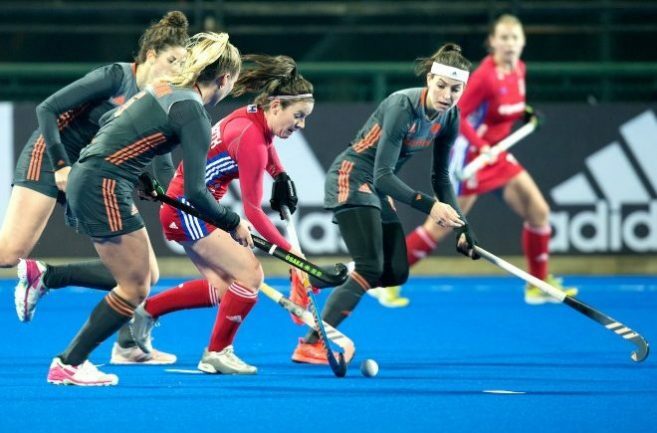 A double from Margot Zuidhof guided the Netherlands to a 4-0 win over Great Britain at the FIH Champions Trophy in China. Marijn Veen opened the scoring before Zuidhof grabbed her first as the Dutch built a 2-0 lead at half time. Ginella Zebro fired in the third before Zuidhof completed the scoring in the final quarter. GB now face Argentina on Saturday morning with the winner likely to secure a place in the bronze medal match unless Japan beat Australia. The Netherlands were ahead inside just three minutes when Veer found the back of the net. GB failed to clear their lines and Veer collected, kept her cool and flicked on the reverse into the empty goal.